Apple is reportedly working on a new tablet that could be ready by early next year. Most notably, the Home button may be disappearing from the next generation of iPads on some models in favor of Face ID. The removal of the Home button would allow for much thinner bezels around an iPad display. However, the inclusion of an OLED display is unlikely due to cost and lack of choice of suppliers. Although the side bezels of iPads have shrunken slightly between some generations, removing much of the top and bottom bezels could greatly mimic an oversized iPhone X.
Tablet sales have taken a 17 percent decline globally over the last three years and Apple certainly felt it. Now, Apple has had some positive results with rising iPad sales to account for $4.8 billion of revenue during its last fiscal reporting period. 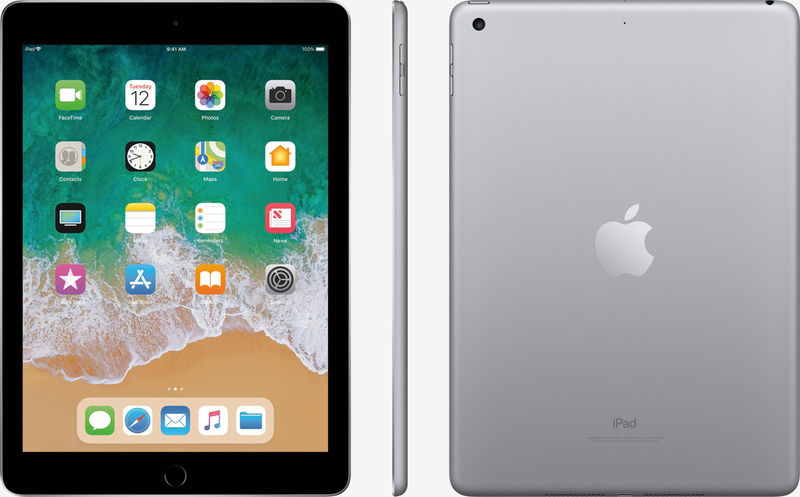 A major change to the appearance of iPads could give users a reason to upgrade their existing tablets and attract new users. The last major revision to the iPad line was in 2015 when the iPad Pro arrived. In addition to a new screen, a highly competitive SoC unit is expected to be implemented. Knowing that the iPhone 8 and iPhone X have a processing unit that is quite impressive, having access to more power in a tablet may offer even greater capabilities for graphics and computing. Further software updates for stylus integration and a new Apple Pencil could also be coming with the launch of the next iPad. Even though Apple just refreshed the 12.9-inch iPad Pro and added a 10.5-inch model in June, it could be quite some time before the next revisions are available to consumers.